Despite their growing presence as the main caretaker for small children, dads remain frustratingly absent from many children’s picture books. Although we are slowly, but surely, moving away from the completely absent dad, or the dad who comes home at the end of the day with a briefcase, picture books could still benefit from portraying dads in everyday situations: cooking, cleaning, running errands, etc. 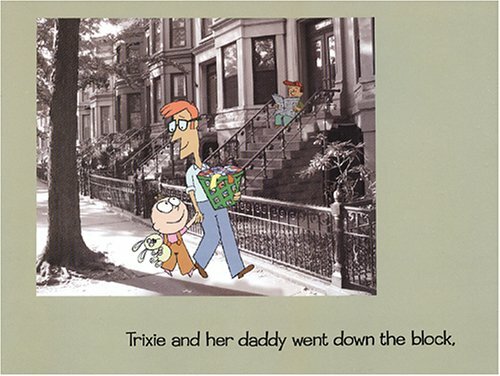 In honor of Father’s Day, I present four of my favorite dads featured in picture books. Who are your favorite literary dads? Nelly Gnu, close friend of Llama Llama and a frequent character in the wonderful Llama Llama books, gets her own story in this sweet tale of daddy and daughter. Daddy Gnu and Nelly spend the day together: planning, shopping for and ultimately building a playhouse. Daddy also cooks and puts Nelly to bed. Dewdney’s lilting, rhyming prose makes this a great read aloud and her illustrations are as endearing as ever. Who doesn’t relate to the beleaguered dad in KnuffleBunny? Taking a story from his own life, author Mo Willems describes taking his toddler daughter Trixie to the laundromat with him. She gurgles and points and narrates in her own toddler language, whi ch grows increasingly frantic when she loses her beloved lovey, a stuffed rabbit named Knufflebunny. Dad is clueless to the cause of his daughter’s distress and grows increasingly frustrated as he drags a screaming Trixie home. Of course, the second his wife opens the door, she asks “Where’s Knufflebuny?” A frantic rescue mission ensues in which Daddy ultimately redeems himself when he finds the poor bunny. Knufflebunny and its sequels feature great daddy/daughter interaction as well as parents working and reacting together in a natural setting. 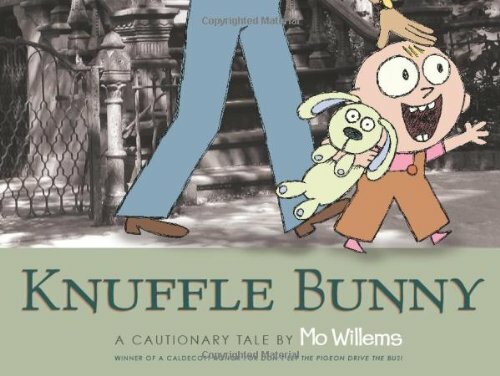 Like all Mo Willems books, Knufflebunny is funny for both kids and their grown ups. 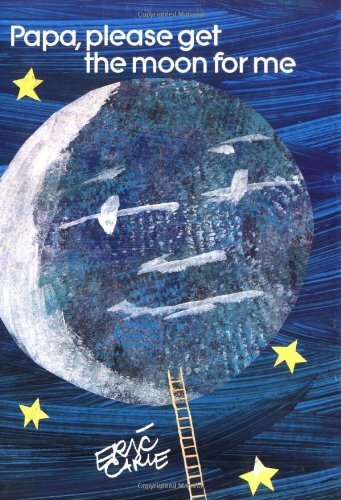 This classic Eric Carle title features a little girl who asks her Papa to get the moon for her, so that she can play with it. Crush your urge to feel annoyed at the entitled little girl who thinks she can play with the moon (ha!) and revel, instead, at the dedicated Papa who climbs the world’s tallest ladder and does, indeed, fetch the moon for his little girl. She plays and dances with the moon until it fades away completely (reappearing in the sky a little while later). Sweet papa and daughter interaction, along with Eric Carle’s gorgeous, unique, foldout-style artwork, makes this book a classic you will return to again and again. There are all kinds of families– families with two moms, families with two dads, families with one dad and one mom, families with one mom, etc. and Tango makes three tells this true story of two male penguins at the Central Park Zoo who met and fell in love. They made a nest like all the other penguins, but were dismayed and confused at their inability to produce an egg and a penguin baby like the other penguin couples. The zookeeper finds an egg that needs a home and puts in the penguin’s nests. They immediately get to work keeping the egg safe and warm and eventually hatch a baby penguin, named Tango. Possibly the sweetest story ever; I dare you not to cry. A great way to remind your children that there are many kinds of families.